One of the UK’s leading investigative journalists, Dr Paul Lashmar, has joined the Department of Journalism at City, University of London. 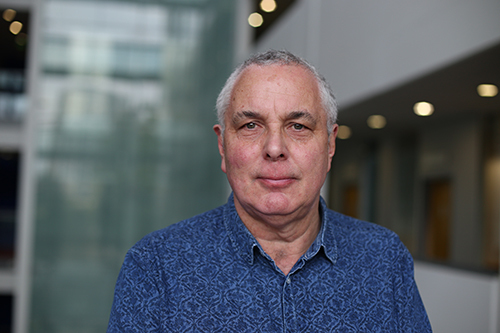 Dr Lashmar, who is also a well-known academic, will be teaching on undergraduate and postgraduate journalism courses as a Senior Lecturer, including City’s MA Investigative Journalism programme. He said: “I’m delighted to join City, one of the world’s most exciting journalism schools, and to be working alongside so many distinguished colleagues. It’s also great to be back in London, one of the great global news hubs. Dr Lashmar has worked in television, radio and print for media including Channel 4, the Observer, the Independent on Sunday and Granada Television. His academic research and journalism has covered a broad range of subjects, including organised crime, terrorism, intelligence and business fraud. He is the author of four books, an adviser to the Centre for Investigative Journalism and a former winner of the Reporter of The Year prize at the British Press Awards. Dr Lashmar is an experienced commentator in the UK media and is regularly interviewed on radio and television. His current research interests include: the British press and the EU, journalism and espionage, and reporting serious crime. He joins City from the University of Sussex.